When we interviewed Aubrey “Drake” Graham back in 2010, the massively popular Canadian actor-turned-rapper was basking in the glow of his successes, but hadn’t quite achieved the meme-machine mega-celebrity status he currently enjoys. 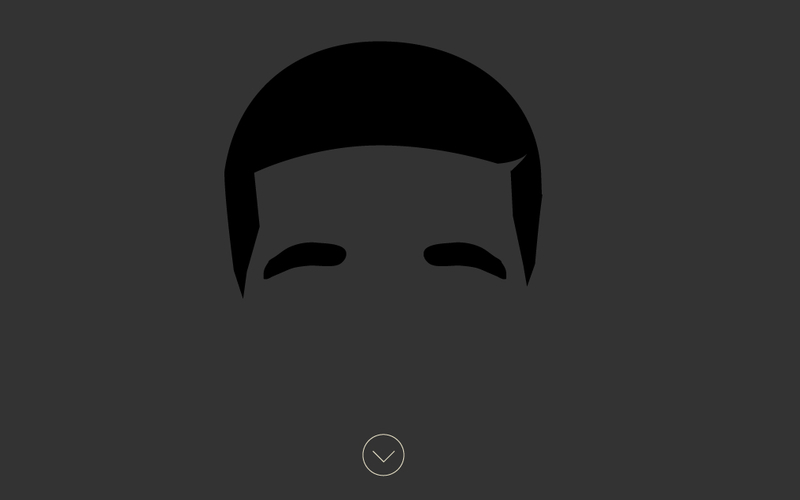 Today Drake is one of the brightest stars, not simply in hip-hop, but in the world at large. His is a successes that is equal parts talent, determination, and a compelling narrative that defies convention (Half-Black/Jewish kid from Toronto plays disabled teen on Canadian drama before giving hip-hop a try?). It’s, admittedly, a tough thread to follow, so the folks at Pilot Interactive digital agency have launched startedfromthebottom.ca (that’s how websites end in Canada) to chronicle Drake’s improbable rise to superstardom. Highlighting standout moments in Drake’s path to the top (“Pulled from pee-wee hockey!”, “Has his Bar-Mitzvah!”, “Showers strippers with $50,000!”), startedfromthebottom.ca is the sort of slick, long-scroll website that web designers love these days. That said, given the site’s lyric’s inspired name, you’d think the programmers at Pilot Interactive would have flipped the website so that you, oh, I’dknow, actually start from the bottom? Still, it’s a cool looking page, and features some downloads – well worth checking out if you’re a Drizzicionado (that’s “Drizzy Aficionado”) who needs to bone up on those pivotal moments in Drake’s life. Or, if you’re looking for an easy way to kill a few minutes on your luck break. Either way – enjoy!